The images of this artwork are for illustration purposes only. Yours will be the edition you purchased. EPIC SIZE 28" x 42" GALLERY PROOF LITHOGRAPH! All Gallery Proof Editions of this artwork were sold out within days of the initial release! 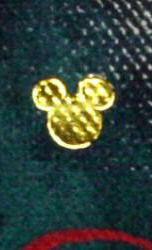 A Gold Mickey Mouse remarque is included on the artwork! 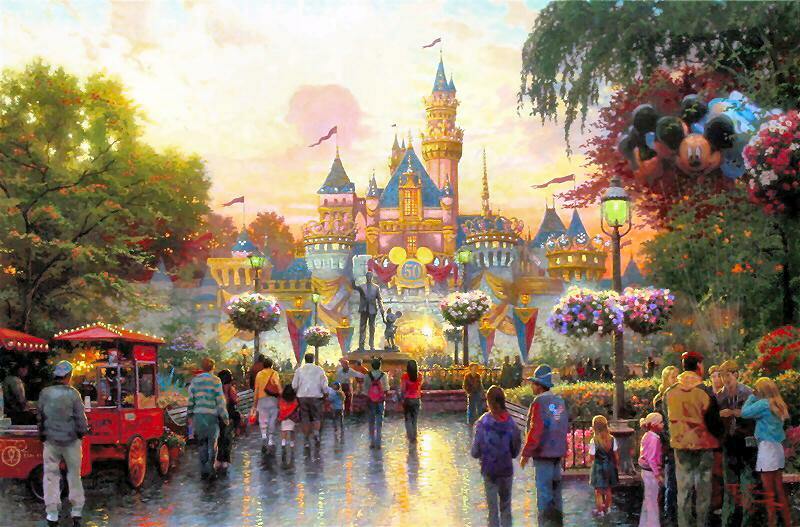 In 2004, Thomas Kinkade was selected by Disney to commemorate Disneyland's 50th Anniversary. For his inspiration, Kinkade traveled to Disneyland to capture Disneyland's most recognized symbol, Sleeping Beauty Castle. He spent 10 hours at the park, drawing sketches and painting a Plein Air study of the Castle. He then returned to his studio and used those sketches and drafts to create an immense painting that commemorates the Castle on Disneyland's 50th anniversary. The painting memorializes Sleeping Beauty Castle at dusk in all of its full anniversary regalia, and depicts the excitement and nostalgia of family trips to Disneyland. 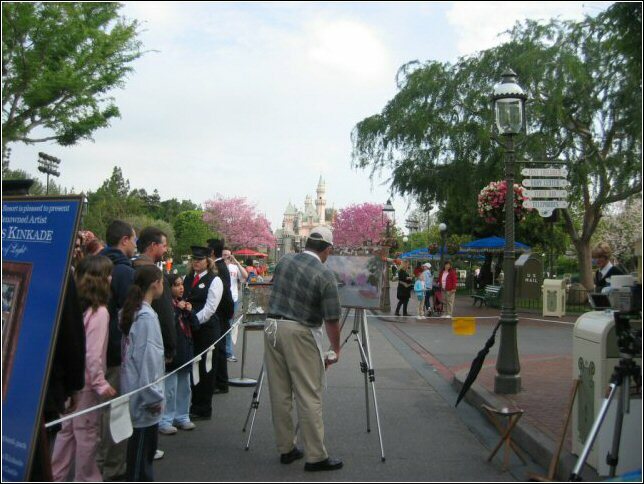 Thousands of people came on Saturday, September 10, 2005 to The Disney Gallery in New Orleans Square at Disneyland to see Thomas Kinkade's newest release, "Disneyland 50th Anniversary". The original was on display at The Disney Gallery in New Orleans Square in Disneyland during the event. 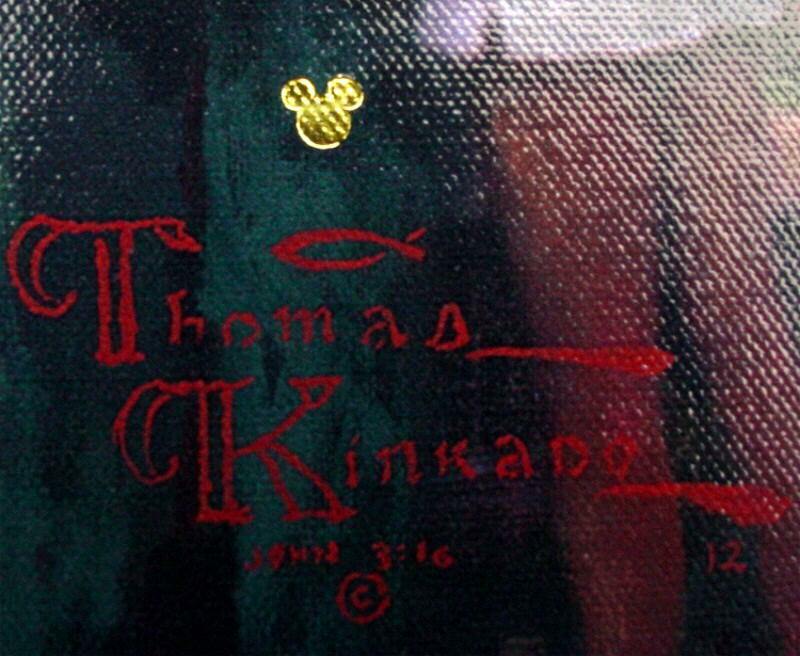 +++ Thomas Kinkade incorporated 12 hidden "N"s in honor of Nanette Kinkade, Tom's wife. 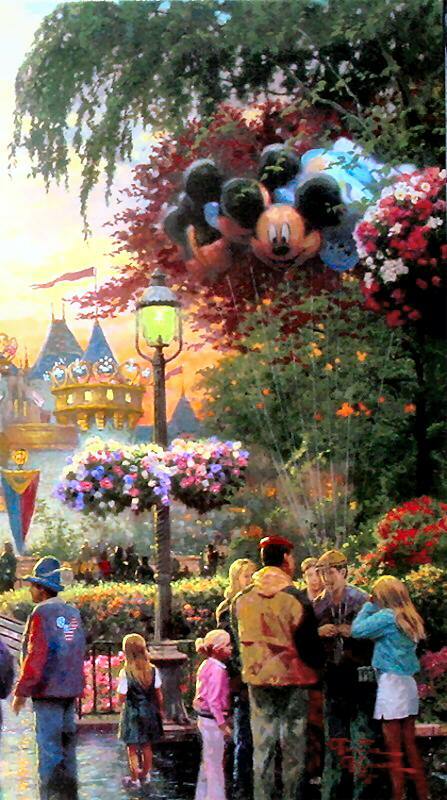 +++ There are 50 hidden Mickeys in the painting... can your find them all? +++ The close up detail photo above features Tom and his 4 daughters. 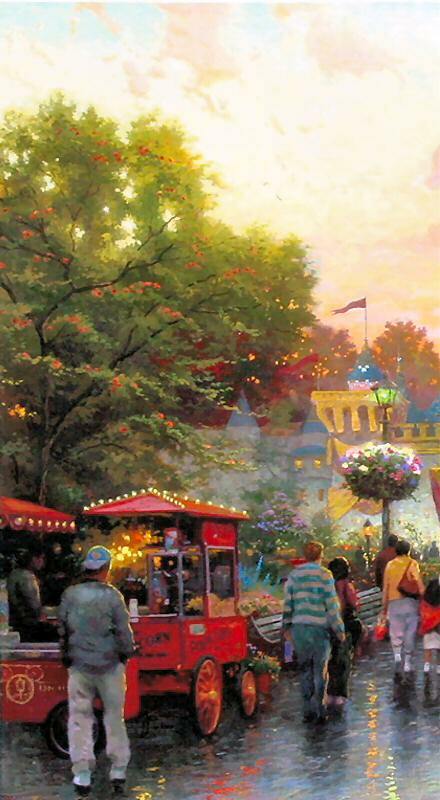 See below for other Kinkade Disney paintings. "When the Disneyland 50th Anniversary gala was announced, I jumped at the chance to paint this place of golden memories. I set up my easel on Main Street to paint a plein air study of Sleeping Beauty Castle, soon to be festooned with decorations, flags, and banners celebrating Disneyland's 50th. I couldn't resist painting my own family among the crowd. The drama of sunset suggests the end of an era at Disneyland, while the glowing lights at the base of the castle remind us that a new age of imagination and celebration awaits.